Kakadu derives from “Gagudju,” the language of the native people of the area, whose claim to their homeland stretches back 50,000 years. What had been a population in excess of 2,000 Aboriginal people in Kakadu at the time of European colonization severely declined due to disease, forced relocation and other repressive state measures. By the late 1970s, the numbers of Aboriginal peoples in Australia was at an all-time low, and there were just 139 Aboriginals in Kakadu. After 70 years of state-sponsored segregation of ‘full-blooded’ Aboriginals and forced assimilation of all other people with Aboriginal blood, Australia ceded all Aboriginal reserves and mission lands in 1976 with passage of the Aboriginal Land Act. Today, Kakadu is home to Bininj (Mungguy), Mirrar (Gundjeihmi) and Murlugan peoples, who make up nearly 30 clans in and around the national park. There are approximately 550 Aboriginals living in Kakadu and another 1,500 non-Aboriginals living around the township of Jabiru, which is the site of a uranium mine currently in operation. The first section of the park was declared in 1979 when the traditional owners, represented by the Northern Land Council, agreed to a 99-year lease of their lands to Parks Australia. Another section was leased in 1985. However, during the planning for the second section of the park, two areas were carved out to allow for the Jabiluka and Ranger uranium mines, the latter of which is in operation today. The sites are owned by an entity called the Kakadu Land Trust, which technically means that the Australian government owns the uranium. Fifty percent of Kakadu was maintained as freehold land by the local Aboriginal people. The park was named a UNESCO World Heritage site and a Ramsar protected wetlands area in the late 1980s for natural and cultural reasons, the latter predominantly associated with the 15,000 or so rock-art sites within the park’s boundaries. Kakadu National Park reached its current shape and size in 1991. In 2000, the Commonwealth of Australia affirmed the passage of the Environment Protection and Biodiversity Conservation Act of 1999, which recognized that indigenous peoples’ traditional knowledge is critical to the sustainable use and conservation of Australia’s environment and wildlife. The act also formed the first Indigenous Advisory Committee to the Environment minister to assure Aboriginal representation and participation in planning for land use. This was the first time that the government funded indigenous conservation and planning organizations. Kakadu is now one of 13 national parks that the National Parks Director and Aboriginal Traditional Owners co-manage (Uluru-Kata Tjuta and Mungo National Parks are among the others). There are Aboriginal members on the park’s staff and board and liaisons to the traditional owners. The park management plan was created and approved in conjunction with the local people and contains provisions for preserving the cultural heritage as well as the ecology of the park’s lands. Sacred sites are protected under the plan and access is restricted according to traditional beliefs. Three types of sacred sites are recognized: kundjamun (secret initiation sites), djang (sites of significance to the Dreamtime) and djang andjumun (dangerous significant sites). Over the course of the development of Kakadu as a national park, the Northern Territory government came into conflict with the commonwealth’s Environment Ministry over the role of the Aboriginal community in the management of the park. Essentially, the Northern Territory government has pushed to develop uranium mining within Kakadu as part of an economic-development strategy since the discovery of the immense uranium deposits in 1969 and 1970. In 1980, despite widespread opposition and governmental and Aboriginal inquiries that recommended against the plan, the government allowed Energy Resources Australia (ERA) to develop the Ranger uranium mine and to explore the Jabiluka uranium deposit and plan a future mine. Jabiluka’s uranium is considered to be worth nearly 10 billion Australian dollars. Holding an estimated 163,000 metric tons, it is the world’s largest undeveloped uranium deposit. Near Jabiluka is the Boywek-Almudj site, one of the only sacred sites that the traditional owners have publicly identified within Kakadu. This site is particularly sacred to the Mirrar community and is at the heart of their steadfast opposition to Jabiluka’s development. There are also many secret sacred sites around the Ranger mine, some of which have likely already been destroyed by the ongoing industrial activity there. In the 1980s, traditional owners stipulated within the park’s joint management plan that they must be consulted about any mining plans. They do not recognize the mineral leases of the Ranger or Jabiluka sites under bininj (traditional) law. Although the Commonwealth protects the traditional owners’ authority over the land as legal caretakers for the Aboriginal community, the Ranger mine continues to operate and there have been several attempts to develop the Jabiluka site in recent years. The Ranger mine and mill has operated since 1980 in Kakadu’s floodplain, where 16 million tons of radioactive tailings have piled up and continually leach into the area’s water supply. Traditional owners, who thought the mine might benefit the community economically, have consistently pointed out that the mismanagement of the mine and a series of hazardous accidents have outweighed benefits they have seen from the few jobs at the mine. In recent years the mine has continued to pose environmental risks. In 2010, water contamination levels in the area were five times safe levels following the release of millions of litres of radioactive water from the mine, which reportedly flowed into the world heritage site’s wetlands. ERA representatives said the water did not come from the mine. In December 2013, there was a million-litre radioactive spill that occurred at the mine, but it was successfully contained and did not cause damage to the national park or the water supply according to the ERA. ERA is obligated to rehabilitate the mine so it can be reincorporated into the national park by 2026. However, funding for the rehabilitation process is a source of concern, and Aboriginal people worry the site will never be restored. At an April 2014 meeting, Sam Walsh, CEO of ERA’s parent company, Rio Tinto, said there was no guarantee Rio Tinto would help its subsidiary company with the cleanup and restoration effort. ERA hopes to go forward with a significant expansion plan for underground uranium exploration next to the Ranger Mine called Ranger 3. The company’s 2013 annual report said if Ranger 3 is not developed, additional sources of funding will need to be located in order to fully rehabilitate the area. The Ranger Mine was reopened in June 2014, six months after the December 2013 spill, despite complaints from traditional owners that the spill has not been properly cleaned up. In the late 1990s, ERA planned to develop the Jabiluka site as a uranium mine. When excavating began, Aboriginal and environmental groups, including the Wilderness Society and Friends of the Earth, led large-scale protests and a movement to ban all mining in Kakadu was launched. 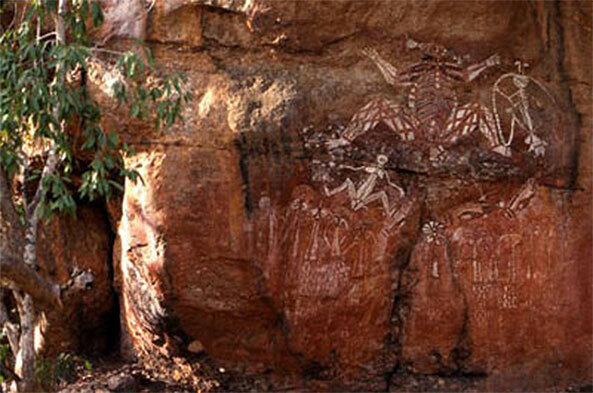 At the top of the list of concerns was that the Jabiluka mine operation would destroy Kakadu’s fragile wetlands and harm the famed Nourlangie Rock, an immense display of rock art that is of spiritual significance to the Aboriginal communities. It is also the largest tourist draw in the park. Several Aboriginal women spearheaded the local opposition, including Jacqui Katona and Yvonne Margarula, cousins from the Mirrar community. They started the nonprofit Gundjehmi Aboriginal Corp., which mobilized national support and media attention and organized protests, legal actions and public education. Both women won the Goldman Prize in 1999 for their efforts. During protests at the site in 2003, more than 500 people were arrested, including Katona and Margarula, and opposition to the mine gained international media attention. The Wilderness Society pursued an innovative and highly successful initiative that targeted North Limited, the parent company of ERA. The organization identified a group of shareholders (known as the North Ethical Shareholders) from North Limited, which called an extraordinary general meeting in 1999, an unprecedented move in the corporate history of Australia. The shareholders were able to directly question North Limited’s board about the Jabiluka mine and demand that the company curtail development. When Rio Tinto acquired ERA in 2000, the Wilderness Society successfully pursued the same strategy with the new corporate owners. Thus, after years of stalemate between the commonwealth, the Northern Territory government and traditional owners, ERA capitulated to demands in 2003 and backfilled the mine with 50,000 tons of ore that had been unearthed. Jabiluka never actually produced any uranium in that time, but several secret sacred sites may have been desecrated. In 2005, ERA adopted a policy that mandates company consultation with traditional owners before any mining activity can proceed again. This policy also allows the traditional owners the right-of-refusal. So far, the Jabiluka mine remains closed. Australia’s federal government then approved AU$7 million to clean up the uranium contaminated sites within Kakadu, allowing for the storage of the waste on site, out of respect for traditional owners’ beliefs that what comes out of the ground should return to it. Other than the continued threat of development of the Jabiluka mine, growth of tourism is the largest risk to Kakadu’s sacred sites and peoples. In 2007, Northern Territory Tourism launched an AU$1.5 million international campaign to increase tourism to Kakadu after the number of visitors had fallen since 2001 and local jobs and revenues had suffered. With inserts in National Geographic Traveler (United States) and The Times (Britain) and a television ad campaign, Kakadu may see a huge rise in visitors in the coming years. However, the park management plan allows for traditional owners to further restrict access and limit visitors. With the solid 2007 joint management plan, it is hopeful that Kakadu’s people and cultural landscape will be well protected into the foreseeable future. If you are visiting Kakadu (or the territory of indigenous people anywhere), review this brochure produced by Aboriginal Tourism Australia for tips on proper behavior. For visitors to Kakadu who wish to learn about the local culture and leave little impact on the landscape, check out the Kakadu Culture Camp, which is owned and operated by the Aboriginal communities. If you own shares in Rio Tinto (Energy Resources Australia), keep abreast of the board’s intentions to develop the Jabiluka uranium deposit through your shareholder’s prospectus. AAP. “Kakadu stars in $1.5m advertising blitz.” The Sydney Morning Herald, January 31, 2007. “Budget funds Kakadu uranium clean-up.” ABC News Online, May 10, 2006. “Kakadu uranium mine off Areva’s agenda.” ABC News Online, May 9, 2006. Anti-Nuclear Alliance of Western Australia. “The Ranger Uranium Mine.” ANAWA. Anti-Nuclear Alliance of Western Australia. “Energy Resources of Australia.” ANAWA. Beltrán, J., ed. “Kakadu National Park-Case Study 11.” In Indigenous Peoples and Protected Areas, Principles, Guidelines and Case Studies, 135-145. Cambridge, UK: IUCN, 2000. Gundjehmi Aboriginal Corporation. The Gundjehmi Aboriginal Corporation. Kakadu Board of Management. “Kakadu National Park Management Plan 2007.” ComLaw (Commonwealth Law). “Aborigines win veto on Kakadu uranium mining.” Mines and Communities, February 2005. Thompson, Peter. “Wisdom Interviews: Jacqui Katona.” ABC Radio National. Wilderness Society. “Kakadu Campaign.” The Wilderness Society.